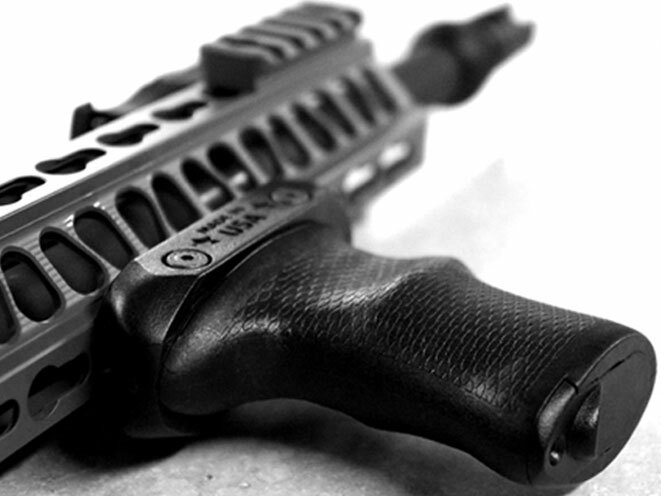 The SBR V*Grip fits on a MIL-STD 1913 Picatinny rail and comes with a battery compartment for AA and CR123 batteries. 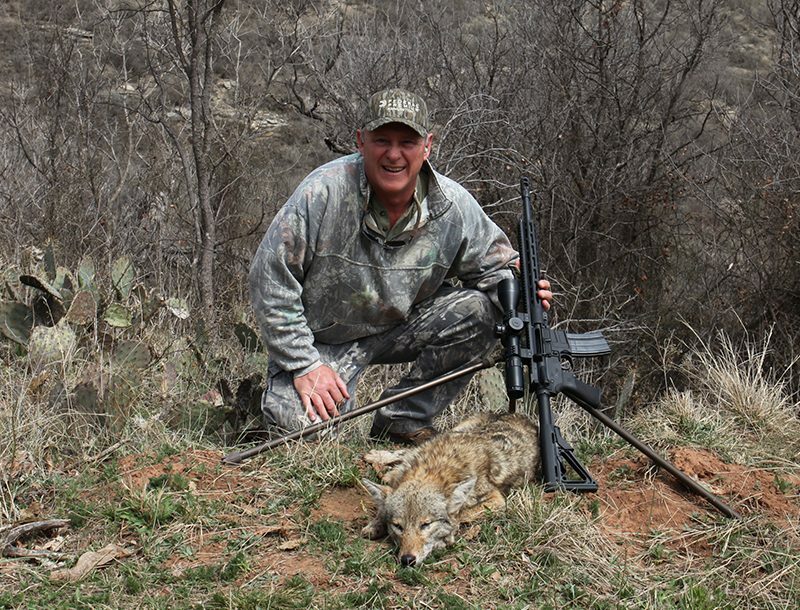 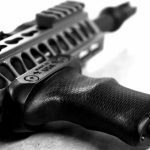 American Built Arms, a Glen Rock, Pennsylvania-based manufacturer of firearms and firearms accessories, is introducing its new SBR V*Grip designed for Bullpups, SBRs, SMGs, Shot Guns and the AR-15 family of rifles. 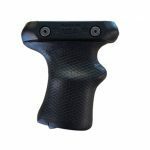 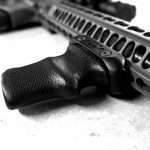 Made from polymer composite material, the SBR V*Grip (Vertical Grip) is strong, lightweight and low profile. 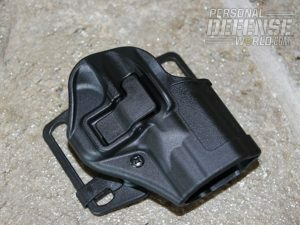 It fits on a MIL-STD 1913 Picatinny rail and comes with a battery compartment for AA and CR123 batteries. 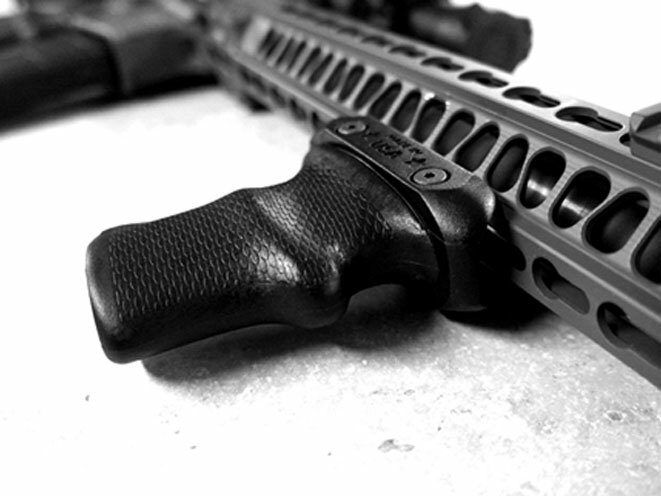 Simply put, the SBR V*Grip is typical of the tough, high quality products manufactured by A*B Arms. 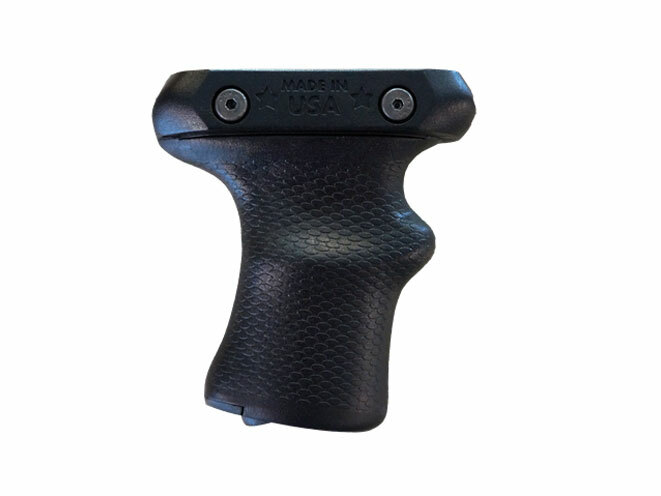 It is available at a manufacturer suggested retail price of $39.99. See below for additional details.